Katherine is a lifetime resident of the Greater Lansing Area. 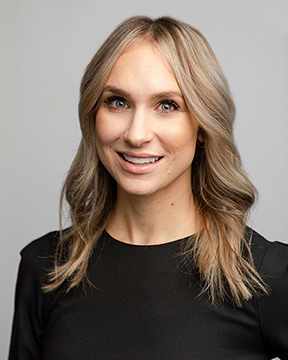 As an East Lansing native, Michigan State University graduate, and current resident of DeWitt, she provides her clients with a unique perspective on the market area and all the amenities the area has to offer. Katherine understands the sale or purchase of your home is one of the most important personal and financial decisions you will ever make. In today’s real estate market, it is important to work with a trusted and experienced real estate professional who will protect your best interests and provide you with an outstanding Quality Service Certified® Real Estate Experience. Katherine has earned a reputation as a diligent and knowledgeable real estate professional that handles every transaction and interaction ethically and with personal integrity. Katherine continues to exceed her client’s expectations working as their trusted advisor, advocate, confidant, skilled negotiator, and expert facilitator, to ensure her client’s wants and needs are met and protected throughout the entire selling or buying process. Whether you are in the process of buying, selling, or relocating, Katherine will help make your home ownership dreams come true.